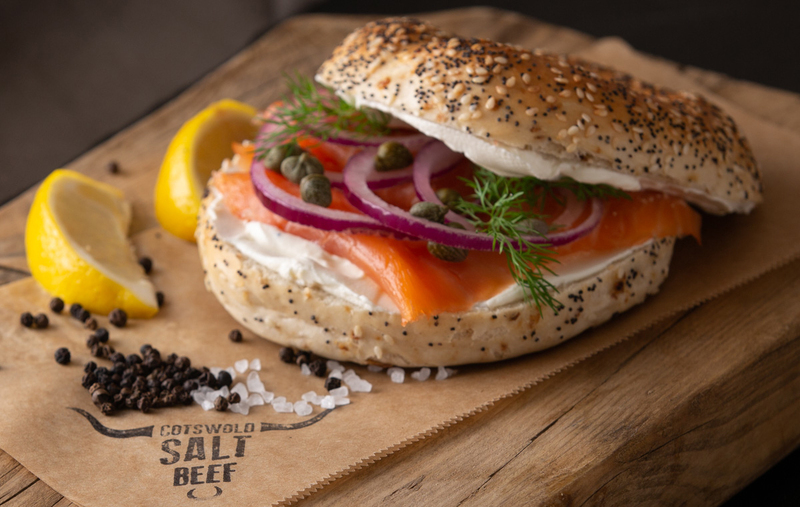 We pride ourselves on using locally sourced ingredients – the beef is grass fed from local Cotswold herds. 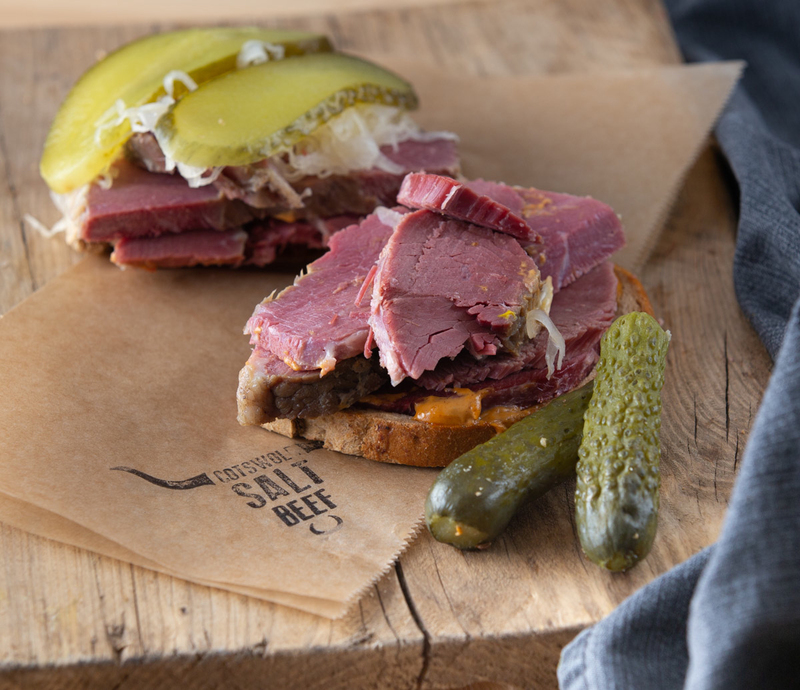 Our salt beef and pastrami are brined to a traditional family recipe, cured and turned for seven days to ensure that every slice is enveloped in flavour. 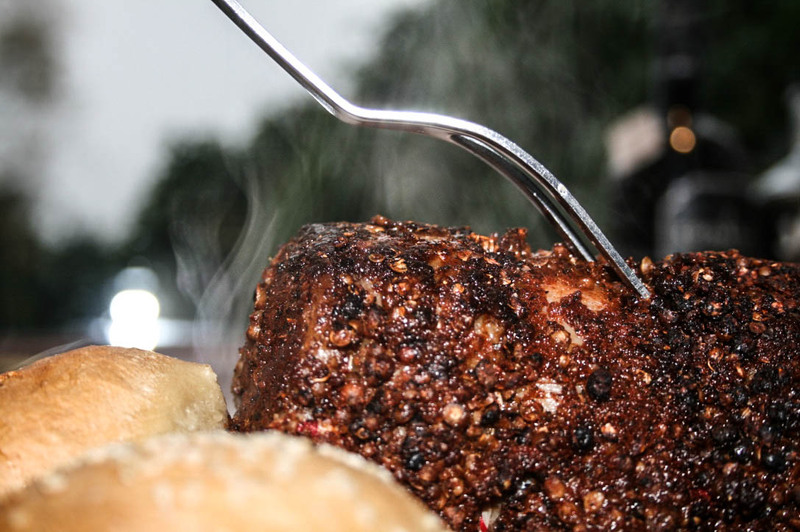 The beef is then cooked slowly for up to four hours before serving it fresh, hot and piled high! 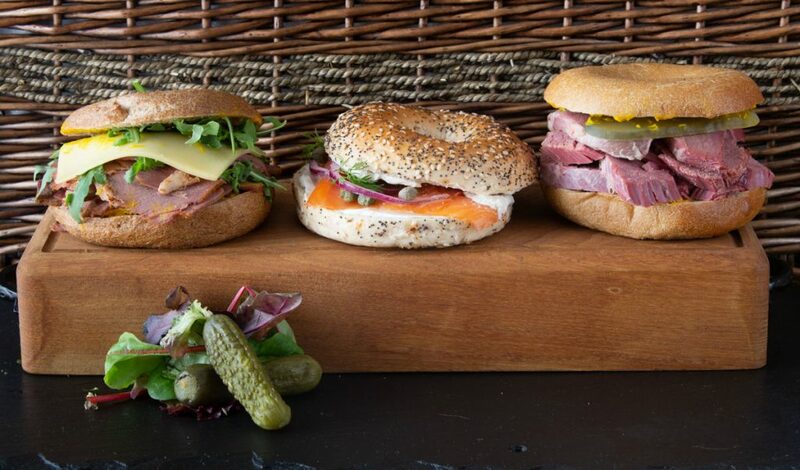 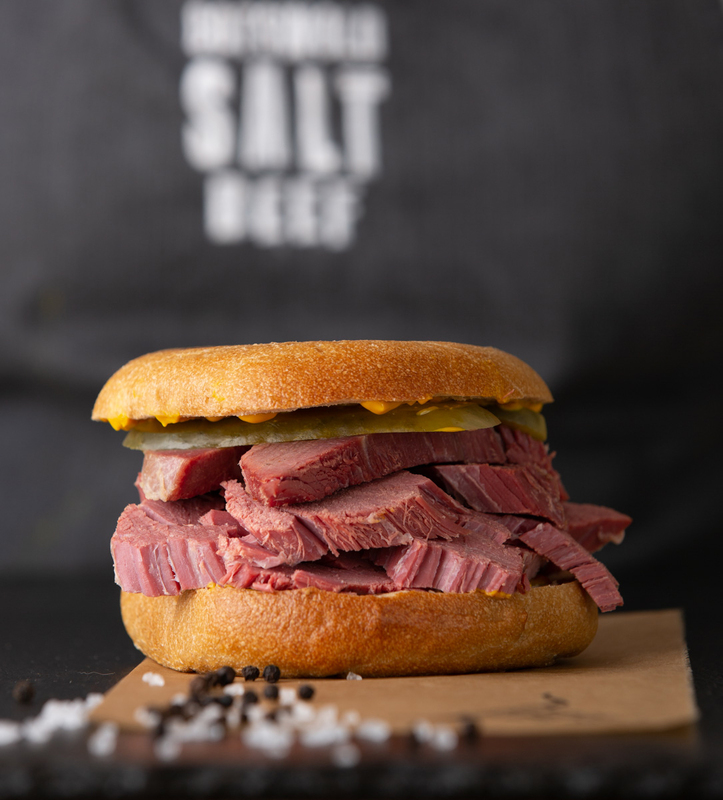 This succulent beef is then wedged between a hand rolled bagel or a traditional light rye bread with caraway seeds both baked by local artisan bakers and then topped with a delicious choice of our homemade dressings.Our mission is to deliver the perfect salt beef and to create the unique tasting experience of a traditional New York/East End salt beef sandwich with provenance. 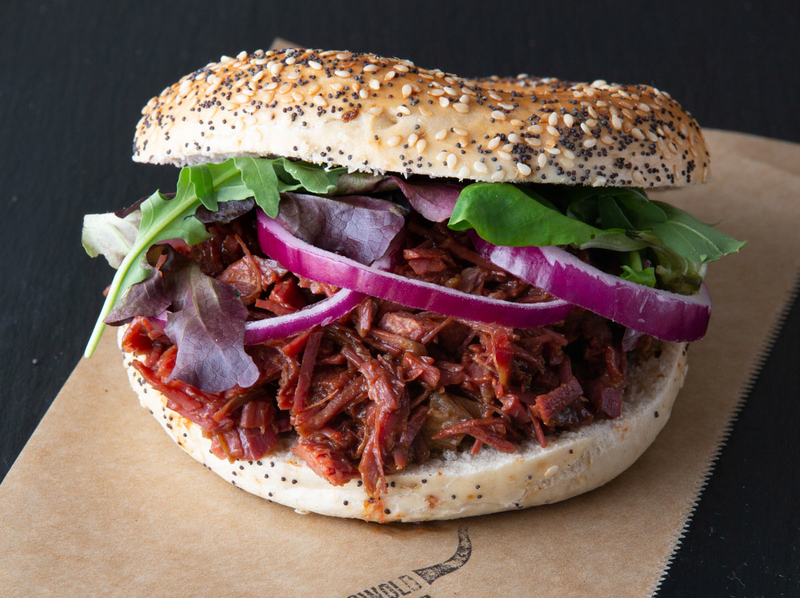 #hoofproject Is our effort to use biodegradable, recyclable and locally sourced products where ever possible to reduce our carbon hoof print!